I’m wondering if you are having a problem with the Fire battery life, or if you’ve heard of it being a problem? The other night I was reading on a fully charged Fire. Wifi was off. I read for about 30 minutes and it went from 100% to 93%. That seems like a big drop considering I could go weeks on my Kindle without recharging. This was simple book reading, no games or other activity. I definitely find I have to charge my Fire far more often than my Kindle. I haven’t noticed any battery issues with my Fires, nor have I seen any issues with my kids’ Fires. I have read a few things on various discussion boards about increased battery consumption, and after contacting Amazon’s Customer Service it was resolved with either a few keystrokes or Amazon replaced the Fire with a new one. You can always contact Amazon’s Kindle Customer Service: they are quite good. To see a previous post on how to contact them, click here. Because of the color screen, you will have the battery run down a lot faster than on an e-Ink Kindle. Open the menu bar by tapping the square icon from the home screen, which is located on the bottom center of your screen; it will be the third one on that bottom list of icons. You will then see a list of apps that are currently running or “on” right now: they will pop up within their own mini window. You may (or may not) be surprised at what is running. To turn a particular app off, I tap the “X” of each of these mini windows. I just did that for mine, and I was very surprised to see I had 23 open apps – search screens, email, games, weather, you name it! I turned each of them off. One other thing you may want to try is turn off your Wi-Fi: having the Wi-Fi on continuously drains the battery, especially if you lose your connection and the Fire is constantly searching for a new network to join. I thought it was time to blog about a tip as, after all, that’s part of this blog’s name! If you have a question, you can always email me (michael at fkbt dot com). If enough people ask the same question, I’ll probably answer it in a public forum like this as it usually means a lot more of you have the same question! I’m frequently asked about updates to various apps people have purchased from the Amazon App Store – how much does it cost to get the upgrade, how do you find out about them, how do you install them, etc.? The first question is pretty easy: if an app publisher, including my own little company, updates an app in the Amazon App Store, you get it for free. Updates to apps generally revolve around bug fixes or minor improvements, so why should you have to pay again for an update? Finding out about an update can be a little tricky: on my Android-enabled phone, I do get notifications of upgrades / updates and it is easy to just tap an icon or two, the update installs, and I move on with life. With the Fire, however, it can be a little tricky to see if you have any available updates – the original Kindle Fire used to be easy, but with software upgrades to the Fire’s operating system, the release of several new versions of the Fire, I’ve found out the hard way I had available updates that needed to be installed. Sometimes the apps update automatically, sometimes the apps send you a notification if you would like to update, and sometimes you just don’t know unless you know how to check it manually. The new 10.1” Fire tablet was delivered to me three days ago, and I’ve been giving it a workout. If you are new to the tablet world or are looking for an upgrade from a smaller one, or your previous version is about worn out, it’s a pretty good deal. If your 8.9” tablet is still chugging along, I’d say save your money as this one was fairly disappointing to me. Want to know more? Rather than being long-winded in a post, you can read the review I wrote if you click here or type in http://smarturl.it/fire10review into your web browser. Each day, Amazon sponsors the Free App of the Day – Amazon’s free App of the Day can be utilized on a Kindle Fire and Android-based smartphones and tablet computers, and the app can be a game, utility, or who knows? Each app is offered free for 24 hours and, after that period is over it goes back to paid status and a new app is the Free App of the Day. Today’s Free App of the Day is PicShop – Photo Editor , and this app is normally $2.99 in the Amazon App Store but is free for today only. PicShop – Photo Editor features a beautiful design combined with tons of editing options and dozens of filters. With support for HD images up to 8MP, PicShop is great for serious photographers as well as casual. Post your perfected photos to Facebook, Twitter or e-mail with a single click. The UI Layer for PicShop is fully GPU accelerated, which translates into extremely low battery consumption, and a beautifully smooth 60hz interface. This app is a joy to use. The Editing Suite includes Color/Saturation, Brightness/Contrast, Sharpen/Blur, Tilt Shift, Depth of Field, Blemish Remover, RedEye Remover, Auto-Correction, Crop, Rotate, and Flip. You can pick up your free copy of PicShop – Photo Editor by clicking here or typing in http://smarturl.it/appdeal into your web browser. Today’s Free App of the Day is Mahjong , and this app is normally 99 cents in the Amazon App Store but is free for today only. Presenting new title by 1C Wireless – Mahjong! Your goal is to match and remove all tile pieces from the tower. Classic – The original game; play as long as you want! Time Attack – Play is timed. Challenge – You have a limited time to choose your Tiles; for advanced players! The faster you choose, the bigger your bonus for that move! Win in Challenge mode to unlock more towers. You can pick up your free copy of Mahjong by clicking here or typing in http://smarturl.it/appdeal into your web browser. 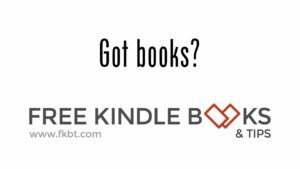 New Kindle Voyage and Fire HDX are Here! This is just a quick note – yesterday, both the new Kindle Voyage and the 8.9” Fire HDX arrived a day early via UPS and I had an opportunity to play with them for several hours before finally giving it up and going to bed. All-in-all, they are pretty neat devices! The Voyage represents Amazon’s latest version of an e-Ink reader: to me, it’s a really nice e-reader. However, I also think it is really just another version of the Paperwhite with a few more whistles and bells that will cost you extra bucks for those whistles and bells in comparison to the latest edition of the Paperwhite. You can read the review I wrote about it on the Amazon website if you click here or type in http://smarturl.it/14voyage into your web browser. I also purchased a cover for the Voyage – the one I purchased was functional but not the Amazon-branded origami cover that seemed too expensive. While I highly recommend a cover for all Kindles, your results may vary and you can read the review I wrote for the version I purchased if you click here or type in http://smarturl.it/14vcover into your web browser. The 8.9” Fire HDX is impressive – the video / screen resolution is really good and the sound via the Dolby speakers can crank it on the bass when I was playing some rock and roll. If you’re looking for a new larger-sized tablet, I would highly recommend this one but if your prior-year model of the HDX is still working fine I’d say save your money because they are expensive. You can read the review I wrote for this year’s version of the 8.9” Fire HDX if you click here or type in http://smarturl.it/89hdxreview into your web browser. Unfortunately, the cover I ordered for the new HDX won’t be in stock or get to me until Monday – I’ll let you know my thoughts on it after it arrives and I’ve had a chance to use it. I hope these reviews help you if you are contemplating making a Kindle or Fire purchasing decision! The last couple of giveaways for Kindles have been very popular, so let’s do it again for a new Kindle Fire! The time period is between now and 11:59 p.m. Central Time August 15th (that’s a Friday). In addition to having a little fun with the blog, I’m continuing my efforts to increase the blog’s email subscription option; if you do sign up for the email delivery option you can always unsubscribe at any time. The email subscription option will put your name into the hat with ten chances to win. You can also have more chances to win if you refer a friend – one additional chance for each friend you refer. Just scroll down to the Enter to Win section of the box a little further down on this page. For 10 chances to win, click on the “Join the Kindle Books and Tips Blog Mailing List” option. Click on the “I would like to subscribe” option that certifies you are over 13 years old, then click the green “Enter” icon. PLEASE make sure you reply to the confirmation email you will receive to prove we are not spamming anyone (and you can cancel at any time). Please note this option is mandatory. For an additional five chances to win, you can “Like” the blog’s Facebook page or follow the blog on Twitter or Pinterest by selecting the appropriate option. If you are already following the blog in this manner, click the option anyway as you MUST do that for your additional entry. Promptly order a new Kindle Fire and have Amazon ship it to the winner. If you live outside the USA, and Amazon does not ship Kindle Fires to your country, I will send you an Amazon gift card for the same value as the price of a new Kindle Fire. The last giveaways have been fun, and generated a lot of excitement. Seeing as how there is non-Facebook / non-Twitter option to enter, I’m hoping the number of entries will be a lot more than last time. If you’re reading this on your Kindle and not the actual blog page, you can go to your computer’s web browser and type in http://smarturl.it/814kf and enter away! Just link them to the giveaway page on the blog – just tell them to go to http://smarturl.it/814kf on their web browser. You can embed a widget just like the one I have on this page to your website or blog page. Just click here and follow the easy instructions (if I can figure it out as an accountant, it has to be easy). All entries will go into the same hat! Today’s Free App of the Day is It’s Done! , and this app is normally $2.99 in the Amazon App Store but is free for today only. It’s Done! helps you recall later the routine tasks you do now. Did you remember to lock the door? Turn off the stove? Take your vitamin? It’s Done! gives you perfect recall of completed tasks. So when that uneasy thought occurs, “Did I remember to…?”, It’s Done! helps you confidently confirm the task is done. No need to check or re-check. No worries at all. It’s Done! is the perfect app for occasional forgetfulness. It’s also ideal for those with short-term memory loss due to brain injury, dementia, or other medical issues. People around the world with Alzheimer’s, ADD/ADHD, and OCD love the app. And baby-boomers everywhere are glad they remembered to buy it! Here’s how it works: Fifteen minutes after you leave the house, you think, “Did I turn off the stove?” Rather than run back home to check, simply look at your It’s Done! app. The check mark you made when you turned off the stove confirms it’s done. If there’s no check-mark, you better go back. It’s Done! just saved your day from disaster. Unlike complicated calendar or task apps, It’s Done! is quick and easy, letting you instantly recall every routine task you performed. It’s Done! is the perfect app for anyone who’s ever forgotten anything. It’s also ideal for those suffer with short-term memory loss due to brain injury, dementia, or other medical-related conditions. It’s Done! can even notify others by text or email that a task is done. Rest easy that mom took her medicine or the kids locked the door. • Set up tasks to repeat daily or at scheduled intervals. • Each completed task is confirmed with a date/time stamp and stored in the app’s history. • Un-checking a task allows it to be check-marked “done” again with a new date/time stamp. Useful for tasks that need to be done multiple times in a day. • Check-mark “click” sound and accompanying vibration (on smartphones) provide audible and tactile memory cues that a task is done. • Conveniently categorize and prioritize tasks according to type and importance. • Automatically sends text and/or email confirmation of task completion to others. • Handy reminder alarm for time-sensitive tasks (take medicine at 9 A.M., etc.). • Readily attachable notes for additional task information. • App opens quickly to current day’s task list. Easy navigation by day and date allows review of past tasks completed or future tasks scheduled. You can pick up your free copy of It’s Done! by clicking here or typing in http://smarturl.it/appdeal into your web browser. Today’s Free App of the Day is Mount Olympus , and this app is normally $1.99 in the Amazon App Store but is free for today only. From the creators of Tesla’s Electric Mist comes a brand new Point and Click Adventure. The Greek Gods have gone missing, and you’re just the hero to solve the mystery and bring the Gods back. Mount Olympus is a point and click adventure designed specifically to be simple, yet gripping and challenging at every turn. Unlike other adventure games, Mount Olympus has been crafted in a way that makes getting lost next to impossible. So instead of floundering around, unsure of where to turn, you’ll be lost in the elegance of the art, and the story instead. You are the hero, sent on a quest to Mount Olympus by your village elders to discover why the Gods have gone missing. Your quest begins as you enter the city of Olympus, which stretches out, covering the base of the great mountain of the Gods. You must search through the abandoned ancient city looking for clues, solving puzzles, and slowly making your way to the top of the great mountain, in hopes of solving the mystery laid out before you and returning the great and powerful Gods to their glory. With the success of our last point-and-click adventure game, Tesla’s Electric Mist, we’ve gone back to the drawing board, adjusting our core game engine, adding all the elements our fans requested. Our fans begged for a longer game (they were sad to see it end). Mount Olympus will be double the chapters, and is expected to be 3x as long in game play as Tesla. You wanted more puzzles; how’s 10x the puzzles sound? Although we never once heard a complaint about our easy to use in-game map and hint guide, we’ve improved them immensely. With our new in-game hint system, we literally will show you exactly where to click if you need that level of help. With so many puzzles to work through, we felt it would be awesome to have an auto-solve system for your convenience on those really tough puzzles. You can pick up your free copy of Mount Olympus by clicking here or typing in http://smarturl.it/appdeal into your web browser.